1 Diver, 1 Spear, 1 bag, 1 Dive = 54 Lionfish! 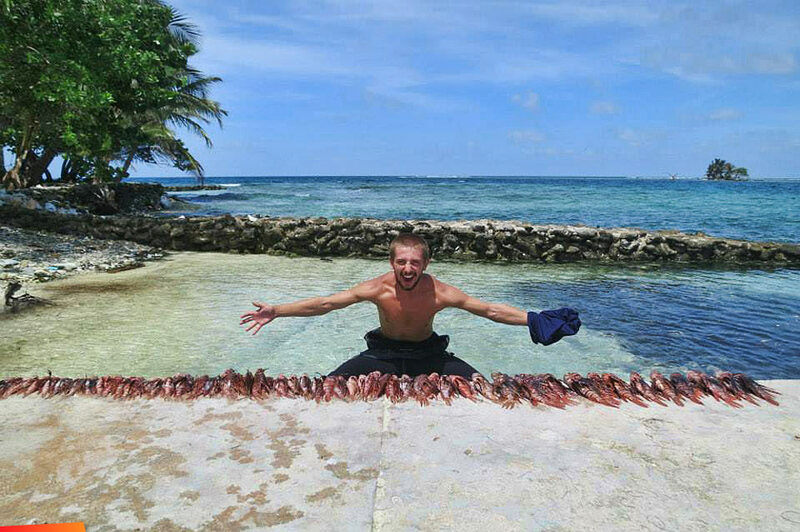 ReefCI intern Harri is pictured here with his record catch, 54 lionfish from one dive!! The Lionfish is an invasive species and extremely harmful to the coral reefs and its inhabitants. Harri has just saved hundreds of thousands of juvenile reef fish! No wonder he is looking pleased with himself!! 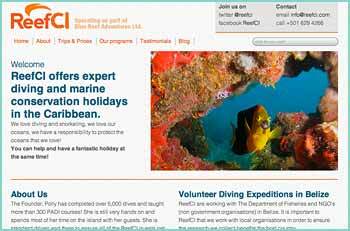 Do you want to challenge Harri’s record and join ReefCI during September? 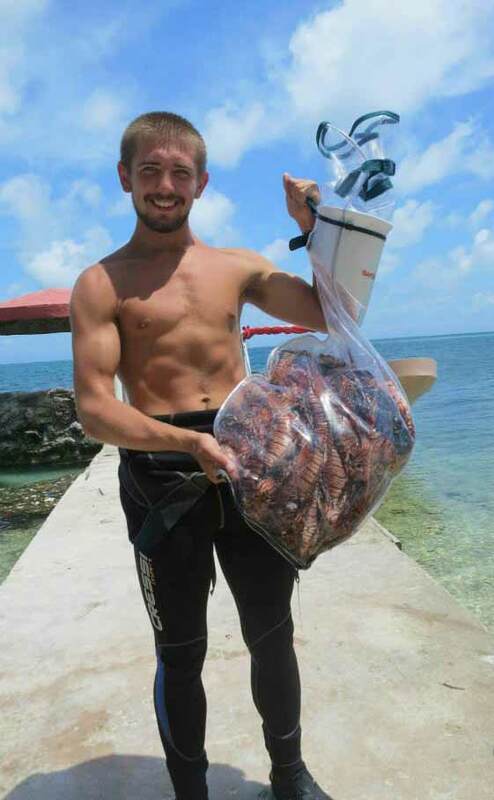 We are hosting a month long Lionfish removal derby, in the Sapodilla Cayes Marine Reserve. You can have loads of fun on our beautiful remote Caribbean island whilst helping us remove this destructive, invasive species.